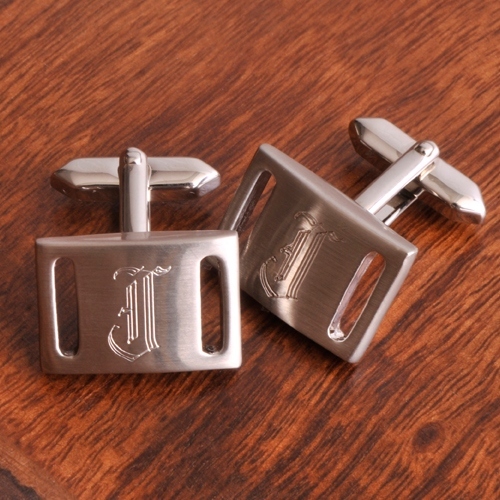 * Reminiscent of a classic belt buckle, these contemporary brushed silver cufflinks are versatile enough to wear with a formal tuxedo shirt or rugged denim Oxford. * Finely crafted swivel-back closure ensures your gift will be a keepsake for life. 2" x 0.75" x 0.75"